Today was the lab practicum for the constant-velocity particle model unit. 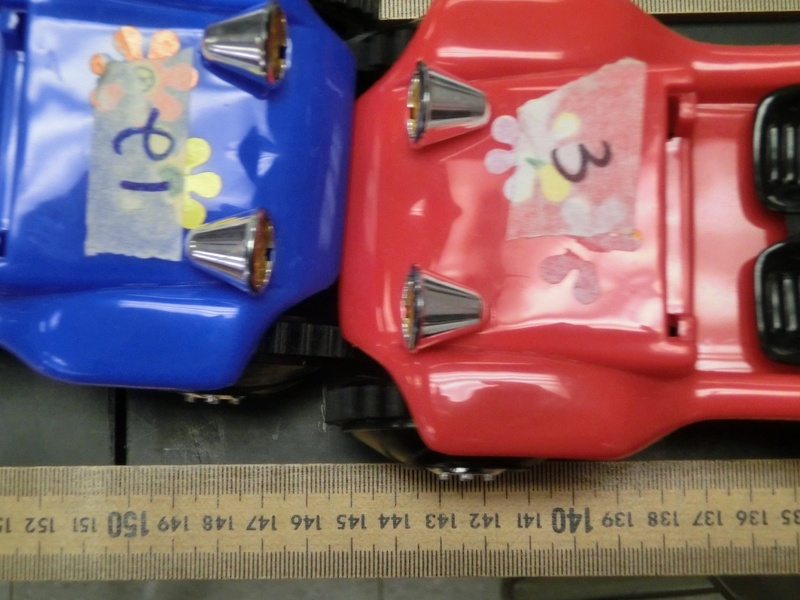 Students had to determine the velocity of two different buggies and then, given a separation of 2 meters, determine where they would collide. I tend to get excited and lose focus; so, I filmed the actual collisions. Students liked watching the slow-motion replay of their buggies’ collision. Next Next post: Day 25: Physics Toys, Inc.